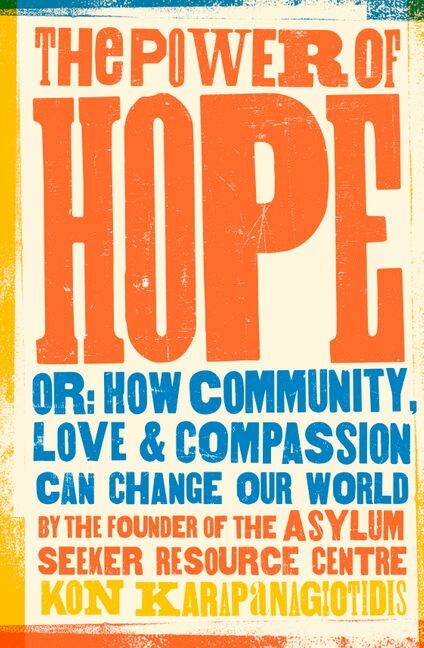 A powerful, inspiring memoir from Kon Karapanagiotidis, founder of the Asylum Seeker Resource Centre, which argues that by putting community, love and compassion at the centre of our lives, we have the power to change our world. 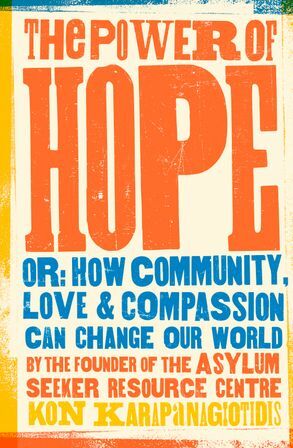 A powerful, heartfelt and inspiring memoir from one of Australia's leading human rights advocates, Kon Karapanagiotidis, The Power of Hope tells the story of how Kon overcame his traumatic childhood of racism, bullying and loneliness to create one of Australia's largest and best-loved human rights organisations, the Asylum Seeker Resource Centre, which has gone on to transform the lives of thousands of refugees and has helped build a movement. A book about how love, compassion, kindness and courage can transform our communities and ourselves, The Power of Hope shows us in times of darkness, both personal and political, that if we stand as one we can shine brightly and fiercely - as together we are powerful. Kon Karapanagiotidis is the CEO and founder of the Asylum Seeker Resource Centre, the largest independent human rights organisation for refugees and people seeking asylum in Australia. They assist thousands of people each year, with the help of over 1200 volunteers and 125 staff. Kon grew up in a working-class family in a small country town in Victoria. His personal experience of racism and witnessing the exploitation of his parents in factories and farms planted the seeds for his passion for human rights. He started volunteering at a centre for homeless men at the age of 18, and went on to do volunteer work at 24 other charities. He also completed 6 degrees, becoming a lawyer, social worker, and teacher. Kon founded the ASRC at the age of 28.His work has been recognised with over two dozen awards and honours including: an Order of Australia Medal (OAM), a Churchill Fellowship and he was finalist for Australian of The Year (Victoria) & the Human Rights Medal, as well as Citizen of the Year in his local community. His memoir, The Power of Hope is published by HarperCollins Australia.